His point was a valid one. For those of us brought up in a relgion that uses the KJV Bible or the Book of Mormon, we have become used to the old English. However, it is still hard to understand sometimes. There are many modern-day translations of the Bible to address the concerns of my friend, but I hadn’t heard of any modern-day Book of Mormon translations. However, after a little research, I found one. There is a free interactive site that has it, or you can purchase one new or used on Amazon. It is called A Plain English version of the Book of Mormon and has some sample pages listed for readers to get a feel for how it is written. I think it’s a great idea to have a modern-day version of scripture. I’ve been frustrated many times trying to decipher what words mean. In closing, I’d like to pose the question: Do you believe using a modern-day version of scripture would increase converts? Why or why not? Thanks for the info, ama. I may buy one! I have always thought that I would read the Book of Mormon more often if there was a modern version, my reasons being similar to your boss’s. So you won’t be surprised to know that I will answer your question with the opinion that having a modern version would increase converts a little. I think some unbelievers, especially those of the younger generation, think Christianity is out-of-date and therefore irrelevant. I do understand, however, why the LDS is reluctant to mess with Joseph’s inspired translation. The thing is, there are many children’s versions of the Book of Mormon (albeit not sanctioned by the church) so why not spread the word about a version such as this one. I respect your perspective. It is easy for me to say that we should keep the original in it’s purest form…because I’m familiar with the lingo as I’ve been exposed to it my whole life. For someone new to this, I think it is a great idea to learn the story line of the book. The other issue I see with not using original is that for the sincere seeker not as dep of thinking and pondering and relying on the Spirit for guidance would take place vs. having a “casual” read. the Plain English version of BOM is in Wiki. I have, with great difficulty, read it in the original and find it hard to follow and bewilderingly repetitive, especially Nephi’s ongoing strife with those others on the boat. The worst were the continuing “It came to pass..” which almost wrecked any attempts at chronological order. The most shocking in Nephi I was the account of the blonde haired and blue eyed people who were supposedly evil being turned by The Lord into “ugly” and “Black skinned”. The account of the reason for the color of the Native American, though preposterous, at least had some action attached to it. The account of animals present in the New Land who simple never existed there and exemptions of those remarkably unique there (here) destroyed any credibility the work might have attempted. Of course, if a believer is one who is a teleological literalist: “Jesus said it; I believe it and that’s that.” may also be inclined to suspensions of the morally and legally ethical with “God made me do it.” or “God said he would kill me it I didn’t do it.”- and there are plenty of examples of that. I would add that in that “Plain English” version I found no discussions, but was prompted, even invited, to add my own ‘two cents’. I ask readers to remember that this is America and though one can have any religion or none at all (Emerson v BOE, 1949), it is tough enough to be a Muslim, a Wiccan or in some places, even a Jew. As long as no one interferes with me and mine I abide. Added to my wishlist! Too bad it already exists; that would have been a fun project to do. That’s an interesting idea I had never considered. You said it was useful as an exercise. What did you find useful about doing that? I’m not in favor of *reading* modernized versions. I’m in favor of each of us producing our own. One of the problems with reading familiar scripture is that we go into it thinking we already know what it says. Having to translate it into your own words forces you to slow down to examine carefully the logical relationships between each sentence, paragraph, and chapter. It’s an exercise in close reading, in understanding. It did lead me to a new understanding of the larger context. We read Alma 13 in isolation (the downside of chapter and verse is it encourages us to read them as context-free), but it’s part of a lengthy response to a question in Alma 12. I think that is an interesting approach that I haven’t ever really considered, but can see how it would be beneficial. I think you are right that we tend to rush through scriptures too quickly. Have you ever done this since your mission? If so, was the experience the same or different? I may be alone on this particular way of thinking, but I think we don’t give ourselves enough credit. I agree that sometimes scriptures are difficult to decipher or understand at times. But instead of just giving up, why not practice or research it. I believe that some things get lost in translation, and the Book of Mormon has been translated once already, and to “translate”‘ into modern language, it would lose meaning in some parts. I feel by studying, not just reading, the scriptures, Book of Mormon or Bible, we could get a sense of accomplishment when we finally start to understand them. So, to sum up, I don’t necessarily agree with a modern language version of the Book of Mormon. I believe that something that is worth it isn’t necessarily easy. We need to give ourselves credit enough to know that we may not understand everything right away, and that’s okay. Line upon line, precept upon precept. The more we practice, the more we will understand. Thanks for stopping by and I’m glad you’ve found the blog helpful for you. I find that there are many questions that don’t get discussed in Sunday School so I put them out here and I’ve learned a lot from many people around the world as they share their ideas. That being said, I welcome your ideas and I agree with you as well. I think that for very serious investigators and people with some religious background and understanding, the original is indeed thought provoking and forces us to rely on the Holy Spirit. Perhaps that’s why the prophets encourage as close to the original as we can get (although people who are antagonists of the Book of Mormon would point out that there have been over 4,000 changes made to the Book of Mormon since originally published). I think though, for people who are brand new to the idea of religion, a modern-day version would be very helpful for them at least to get the story-lines and hold their interest. In my opinion, it’s just like with our kids. Do we start reading them the Bible right off the bat in old english KJV? No! We read them condensed versions so they can get the story line down and a proper understanding. Then, when they’re ready they go for the big stuff. It’s probably a good idea for someone to point out that the book cited is actually titled a plain English REFERENCE TO, not VERSION OF the Book of Mormon. Thanks for pointing that out. That does make a difference. The Plain English Reference to the Book of Mormon is an interesting project, but it includes a lot of interpolations and interpretations. It was not intended to be a translation of the Book of Mormon into modern English, and it would fit that role poorly. In addition to the 1908 Authorized Version, the Community of Christ continues to publish its Revised Authorized Version of the Book of Mormon, which was first printed in 1966. I do not yet own a copy, and I probably will buy one, but my impression from the little that I have read about it is that it may have more changes in wording than I would have preferred. It seems to me that Royal Skousen has made a great contribution by carefully trying to reconstruct the original English text of the Book of Mormon. I think that it would be desirable to be able to read and study a new English-language version of the Book of Mormon, derived from the Earliest Text version, with perhaps a few kinds of changes: (1) Carefully consider including some of the editorial changes from later editions. (2) If some of the sentences seem to be too unreadable as English, modify them conservatively, trying not to disturb the structure, and trying not to change the meaning. (3) Conservatively fix grammatical errors such as subject-verb disagreement. A possible conclusion from Skousen’s work is that the Book of Mormon was translated into the English of an earlier era by a non-native speaker of that language. For a translation into a foreign language, the natural next step would be to get editorial help from an educated native speaker of the target language. For this step in the translation of the Book of Mormon into English, we would need to choose between accepting a more modern version of English as the target language and accepting a non-native speaker of an earlier version of English as the editor. For other major languages such as Japanese, the Book of Mormon has been re-translated to compensate for language drift. Although the same factors that led to the re-translation of the Book of Mormon into other modern languages are somewhat applicable to English, I don’t know whether or not a translation from English into English will ever be authorized by the LDS Church. 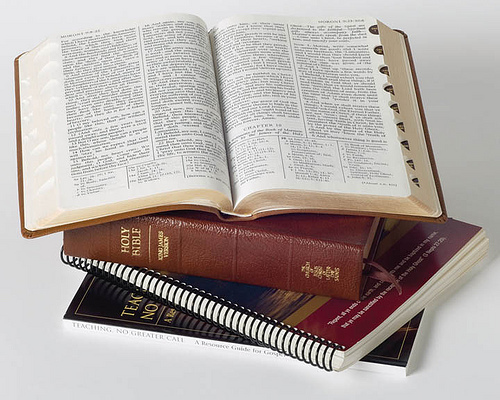 The publicly available Handbook 2 states, “The Church discourages rewriting the Book of Mormon into familiar or modern English,” and the Handbook includes a quote from the 1993 First Presidency statement on that subject. At least one exception exists: “These concerns do not pertain to publications by the Church for children.” Even this exception does not obviously include the adaptations for children that have not been published by the Church. “A possible conclusion from Skousen’s work is that the Book of Mormon was translated into the English of an earlier era by a non-native speaker of that language.” I came to this same conclusion watching the Joseph Smith Papers episode. I’ve re-watched it several times before I came to an understanding of how the BOM was probably translated (I mean the details that we dont talk about). BTW, a non-native speaker of which language? Maybe neither language? Also, your comments about the BOM being translated to other languages and not being translated into modern English is very interesting – never thought of it that way. Which “version” would you recommend for me—The Plain English Reference to the Book of Mormon or the Revised Authorized Version published by the Community of Christ? I’d like one that was created by translators who were very committed to objectivity, made accuracy vitally important, and were themselves full of the Holy Spirit. I’d also like one that is easy to comprehend for those times when I don’t feel like thinking too much. ama, I agree with you—as usual. The Spirit brings Christians together because there is only one truth. I’m pretty new to this whole thing. I just came across the Plain English version the other day as I’ve always used the original version of the Book of Mormon. As kamschron pointed out, there probably won’t be a version other than the original English one that the LDS church endorses. However, for your personal study, I would recommend either the Plain English one, or the Community of Christ one. I haven’t extensively looked at either of them, but my guess is that the Community of Christ one will be more accurate since it wasn’t just one person writing it. The guy who wrote the Plain English one is a returned missionary and I’m sure he has good intentions, but it didn’t appear there was a committee or anything of that nature to oversee errors. I just stumbled across this site doing a Google search for “easy to understand Book of Mormon”, curious to see how my site ranks. Wow, it’s in positions #1 thru 8 on page one. Not bad. Anyway, I’m Timothy B. Wilson. I wrote the book people are talking about here. I first published “Mormon’s Story” (3,000 hefty copies) in 1993. They sold out and I published “A Plain English Reference to The Book of Mormon” in 1998. Sales just plug along these last 11 years, consistently selling 40 or 50 copies a month, on Amazon, and even in Utah Wal-mart stores. I’m most happy about my free site, plainBookofMormon.com, which is the text of my book, but with large print, many illustrations, and since the first of this year, audio reading of each chapter! I’m also very happy about the Amazon reviews, all five star, which I published on the site. I’ve been happy to receive many emails from people all over the world, of every age, telling me how my work has helped them to finally understand The Book of Mormon. These are not lazy or dumb people. They’re just regular people like you and me. You see, the mind cannot receive a testimony of what it cannot comprehend. B.H. Roberts was right, that we do need as good of a Book of Mormon as the French have, who don’t have all the English grammar errors we cling to. President Monson, in the 70’s, in charge of LDS Printing at the time, formed a committee to create a plain English reference to the Book of Mormon. Scholars from Stanford University were hired to participate. Their manuscripts, when presented to certain brethren, would be sent back, with certain sections marked, “false doctrine.” Discouraged, and with too many cooks in the kitchen, the project was finally scraped. I’m sure Apostle Monson was sad about that at the time. I’m no prophet, and yet I know I was inspired to spend two years (1991 to 1993) full time working on this project that blesses lives each day. I can’t tell you about all the letters I’ve received, like the one from a 14 year old boy who decided to go on a mission after finally “getting it” with the help of my work. That makes it all worth it. I have NO verse numbers in my work. That would be wrong. I don’t have a “new version” of anything. Only a reading guide. And to those who say “he is only one man, and so he must have gotten things mis-translated, improperly interpreted,” etc. I say, “Tell me where it’s wrong, and we can talk about it. If needed, we can edit the work. I have not had a single doctrinal correction to make in 18 years, by the way. Yet nothing is set in stone. I’m telling you all, I received a whole lot of witnesses that what I was doing was “a good thing”. It took guts at the time (1991), when “radicals” were kinda being flushed out of the church. People like “home schoolers” were being profiled and singled out according to certain notices sent out by an over-zealous Area President. Really. But you know, men will be men, as in the day of Joseph Smith, and today…..totally imperfect. That’s okay. We’re all working on perfection, right? Our testimony MUST be based on truth, not on words in a set order. After publishing in 1993, I visited the Church Office building, to the 20th floor, to the Translation Department, to give them a copy. The guy in charge there greeted me with a big smile, and pulled a copy of my book out from underneath the counter, and said, “I love this! I especially love where you got _______ right, which most translators struggle with.” He explained that often NO qualified LDS person is available for translation in an obscure language, and so often NON-LDS translators translate the Book of Mormon! To minimize incorrect translation, the LDS Translation Dept was actually grateful to have my “plain English reference” available for these non-English Translators. That was President Monson’s intention twenty years prior. Often one man actually can do what a committee cannot. One man, without letters following his name. Without a job at BYU teaching Ancient Scripture. Just an ordinary guy with the desire to serve, a sound mind, and the gift to make things very clear, while respecting the intent of each ancient writer. And in each verse, I made sure that nothing was left out. And I mean not a single, teeny bit of doctrine. My work was never “watered down” for kids or for the less literate. My work was not an exercise in doctrinal interpretation or deletion. It was an exercise in clarity. “And it came to pass” (all 10 pages worth removed), has no influence on gaining or not gaining an understanding of eternal truths, or of a testimony of Christ. None at all. That phrase simply means, “then” or “years later”. How many years? Well, the 1830 text provides plenty of exact years for the reader. But instead of “In the fifty-third year of the reign of the judges…” one can read, “in the year 46 B.C.” That’s a better way to put things into perspective, don’t you agree? You see, she had showed me during that meeting her books to help adults simply learn how to read. Adult literacy was one of her great missions to accomplish. She knew that one cannot get a testimony of something that one cannot comprehend. And when a person just learns to read, do you think they can get a burning testimony of The Book of Mormon simply by holding it? Perhaps the book itself has a spirit? Not really. It has pages, ink and binding. Joseph Smith said that The Book of Mormon is “the most correct book on Earth…” And in what manner is it the most correct? Doctrinally, of course, not grammatically! Yes, 4,000 grammatical changes were made between the 1830 and 1837 editions. So what? We vacuum our chapels. Missionaries smash up their cars. People goof up all the time. Even Joseph flubbed things up now and then, and he would be the FIRST to admit that to any man. And so people, we need to get off our high horses (if we are on one), and lighten up, and preach the gospel, in spirit and in truth, in all places, at all times, to all people. We need to get on the Lord’s team, and assume His frame of mind, of speaking to ALL men, in their own language, and in all degrees of English, or all degrees of any language, according to people’s understanding. Fair enough? Tim, some of your critics, who insist on the “pure version” may be completely unaware that no “pure” version exists. The only thing close to an absolutely correct Book of Mormon text would be the Original Manuscript, of which only a very small percentage still survives. The secondary manuscript copied out for the printer to typeset disagrees in quite a few places with the Original Ms., in the portions of the original that survive. And with the entire Book of Lehi and the forepart of Mosiah irretrievably lost, per LDS sources, the Book of Mormon is rather incomplete. Since none of us can read Nephite, and the Nephite text is no longer extant, none of us can read the Book of Mormon that Mormon actually wrote. We are even a step down from Mosiah’s day, when Benjamin told his sons that they knew the brass plates were true because God had preserved them — and because they had them physically present as a witness of their historical authenticity both of the plates themselves and their message “before our eyes,” — an admonition that is completely lost on modern saints. The only thing close to being authentic as far as the Book of Mormon is concerned would be the original text on the gold codex, translated by modern scholars. And so the traditional Restored Church will never be able to go forward and take its place in the modern world, because in the mind of many LDS, the Bible remains as frozen as the Book of Mormon — because lacking an original language text of the BoM is perceived as a tacit commandment that the KJV is itself an inspired translation superceding the Greek and Hebrew from which it was translated..
As I always say, “Truth is independent of words.” No matter the original language, if men are inspired and / or shown by revelation, specific words that appear on seer stones inside of a hat, or any other device the Lord is apart of, then the result is a work that, when people read, they feel the Spirit of the Lord and are brought closer to His truth. And that is the intent of the Lord…..to bring us closer to truth. People have a fear of being deceived, mostly because they don’t trust the whole process of revelation, or are not used to it in their lives. People are more used to TV, radio stations, downloading songs in their iPod, and reading text messages from people who can’t spell out a single word. So when the real deal comes along, 1830 Book of Mormon, or 1993 Mormon’s Story, based on the former, then people tend to freak out when their safe haven (the one and only original they know), is brought to light by men inspired by the Lord. And what of the calling? What of the authority? Hmmm, last I check there was this great scripture in the D&C about being “anxiously engaged in a good cause”, and not sitting around on your duff, waiting to be “commanded in all things” like a latter-day aint. That’s why I spend two solid years of my life, not preaching in New England (commanded to be a missionary), but sitting in front of a monitor working my brains out day and night, with four kids and a wife to support. That all worked out well, by the way. The Lord takes care of His own. The First Presidency issued a statement in the mid-1990’s advising Church members from reading “modern language” versions of the scriptures. In fact, the only reason the author (my former husband of almost ten years) was able to escape Church disciplinary action for publishing his original work (Mormon’s Story) was because he packed up his young family and moved from Nephi, UT. He was able to “slip through the cracks” by moving numerous times and eventually his membership records were no longer “flagged” and the issues about his publications faded from Priesthood attention. He was also able to avoid Church discipline and legal issues related to other things as well. Although the PlainBookOfMormon.com website was a wonderful resource for increasing one’s understanding of the BOM, Mr. Wilson is not the owner of any media rights to his book. When the publisher, Cedar Fort, learned of the website, they took action and the author was forced to comply with terms of his contract and copyright law. A lawsuit against the author is pending. inspired by the Holy Ghost. Having been acquainted with Tim’s project from the beginning, I am aware of the positive feedback from many who now understand more of God’s word than before Tim’s book appeared. The fact that the text itself has not received any negative criticism (that I am aware of) is amazing to me. Tim’s website (now off-line) has generated more sales for the publisher, and if the latter chooses to take legal action, it’s not hard to see that somebody’s moral values are a bit confused. Those wishing to publish ought to seek counsel on any contract. I am surprised to read that people think Wilson’s work “has not received any negative criticism.” With just a few minutes of online search, I came across a criticism: http://maxwellinstitute.byu.edu/publications/review/?vol=7&num=1&id=169 . About Joel’s review of my book: It is very insightful. He has some very good points. I wish I could have create a perfect work in order to make the messages of The Book of Mormon more clear to people’s minds. Especially to those who are barely literate. I will say that the “language of scripture” so dear to many people’s hearts, and that Joel encourages us to stick with, is totally lost to LDS members who read the Book of Mormon in languages other than English. There are no language equivilants for so many King James type Biblical phrases, which were quite appropriate to the minds of 19th century readers. Those phrases are still appropriate for those who speak English today, but they are not as familiar to us today as they were to the early converts 150 years ago. Ramona is a very bitter, angry ex-wife of mine, who caused me to leave her, but can’t leave me alone. She needs to get a life, but can’t seem to let go of me in one form or another, as manifest by her posts here. Well, people can buy my book at Amazon. It’s called “A Plain English Reference of The Book of Mormon”. Nothing but five star reveiws. And over the past 18 years since publishing, I’ve received dozens of letters from people all over the world telling me how they have received a testimony of The Book of Mormon for the very first time. One man had been a member for 30 years, and said he finally “got it”. Another young man made the choice to go on a mission after reading my reference book. If a tree produces good fruit, then it is a good tree. Everything good comes from god. What influences us to not love or serve god or do good comes from the devil. If we don’t understand these plain and simple truths, then we do not understand nor practice some of the main messages found in The Book of Mormon. The publisher does not have confused moral values….the author does. He was finally excommunicated from the LDS Church in July 2011 (for other reasons). Perhaps if Timothy Wilson spent time regularly reading the standard works instead of his own version of scripture, he would have been able to honor the Priesthood and his temple covenants. Incidentally, the website he created did not increase sales for the publisher…book sales have been slow and “steady” since it was first published (I know, because for almost 10 years I deposited the royalty checks in our joint bank account). Roughly 10,000 copies have been sold since the first printing, and the publisher retains the rights to the work. Creation of the plainbookofmormon.com website may have helped many people gain a greater understanding of the BOM as interpreted by Tim Wilson, but it was a violation of copyright law….an illegal act. Incidentally, the meeting with Elaine Jack the author likes to brag about NEVER HAPPENED. It’s a fictional story he likes to tell to try and impress people. I have the original letter Elaine Jack sent to him in which she apologized for not being able to meet with him when he stopped by her office, thanked him for leaving a copy of his book, and wished him good luck with his project. I’ll keep reading my cannonized scriptures, thank you. If the original letter was sent to Mr. Wilson, how is it that you have the original in your possession? Just curious. You know, by law, any letter sent to an individual becomes the physical property of that recipient, although the copyright to the material in the letter remains with the writer. Oh, now I remember the letter that my ex-wife has in her posssesion, from Elaine Jack. That’s a letter I received from her AFTER I publshed my 346 page hard bound book. I had made a second trip to her office after publishing. The first visit was when I took my manuscript to her, which she thumbed through briefly, and said, “I hope this goes”. She encouraged me to publish. If Ramona (my angry ex-wife) cared to look at the date on my letter, sent to me by the then General R.S. President, Elaine Jack, (which if Ramona had any decency she would send to me as a cherished momento of mine), then she would see a date AFTER the date that my book was published. The part of that letter Ramona does not tell about is Elaine thanking me for a copy of my book (which I left for her on my second visit to her office, after publishing). The first visit I tell people about was BEFORE I published, during which visit, in her office, Elaine encouranged me to publish, telling me “I hope it goes”. Again, a bitter ex-wife with her facts and dates mixed up (who didn’t even come into my life until eight years after my two visits to the R.S. Building in SLC took place), has only one agenda in mind….to slander my character. Apparently she’s not over me yet, as our divorce was just last May. She just can’t focus on anything that doesn’t have to do with my life. It’s kinda creepy. LIke being stalked. I don’t think there are more than three people getting this post, as it was mostly commented on when created last March. So I got spend my time on something more worthwhile now. I don’t think this is the venue to air your dirty laundry. We desire civility and neither one of you reflect that. Your pain must be great and I ,a non-LDS Christian, will be praying for you. “That it cause no harm, do as thou wilt.” This is the motto of the Wiccan. Of course, there are a lot of people who have and still do disagree with this very sensible philosophy. and about hurting others’ feelings with rhetoric, thank goodness its still not against the law; Abraham Lincoln remarked about a particularly severe critic of his presidency: “His freedom of speech stops where his fist meets my nose.” The dude abides. Seaumax, the instruction “that it cause no harm, do as thou wilt” is simple, but the fact that every person on earth has his own personal interpretation of “harm” makes it inoperable. One need look no further than the “war on drugs” to see examples of this. I was baptized in 1994 and still haven’t read the whole Book of Morman. It is translated in hundreds of languages and done so in the modern vernacular. Why not English indeed? The KJV was translated into English as used at the time of King James. the Book of Mormon was translated into English as used at the time of Joseph Smith. Because Joseph Smith was a contemporary of the early 19th century the English is much closer to our own English usages. However there are certain words and phrases that did and do not directly translate from Aramaic to English. Also there are certain phrase arrangements that reflect how people thought in their day. An example of this is found between Philippians and Colossians in the KJV. I have been reading the New Testament and as I read Colossians I realized that a different person is writing Colossians than wrote Acts, Romans, Corinthians and Philippians. the author of Colossians use of language, the way they approach different subjects changes in Colossians. Such as in Colossians the author talks about the “Mystery of Christ.” Christ had not been a mystery in the previous books of Paul’s travels. Conversion is not dependent on the language but rather it is dependent upon the spirit. The spirit that comes when one reads the scriptures is dependent upon desire of the one studying the scriptures to receive the spirit and understand what is written. That is why one should pray for guidance and understanding when studying the scriptures. I recommend using the earliest translations available to get the most accurate meaning of the original text. But use all available tools and the best tool is the Holy Spirit to guide one through ones studies. I just found this site from Google. A BIC Mormon and having struggled through the Book of Mormon several times, I had just started this morning to do my own modern-day, easy-to-read version. It’s all made me realize for the first time that Madalyn Murray O’Hair had been right about the Book of Mormon all along. And so had Mark Twain. I had stopped my own “translation” to look in Google because I couldn’t stop laughing at what previously had seemed like a serious and sober book of actual ancient scripture. That no actual people would ever talk of write like what’s in the Book of Mormon became obvious in a flash. That what the prophet Joseph Smith had written––it became painfully obvious––was somebody quite laughably (literally) trying to sound Biblical. O’Hair thought it was the funniest g-d book she’d ever read. I’ll never again be able to look the same at either Joseph Smith or the Book of Mormon or my BIC Mormonism. Ever. And it came to pass. Well, it’s too bad this last poster relies more on writings and opinions of men (like Mark Twain, not even his real name) then on the whispering of the Spirit of the Lord. Revelation, peace, gentle promptings, calmness and other gifts from above are increasingly in short supply today. It will get worse, unfortunately. When working on my book full time for two years back in 1991 to 1993, I had so many times when the Spirit of truth rested upon me, telling me to proceed, to persist, to not worry about finances, about supporting my wife and four children. It all worked out. The book was published. Good fruit, and lots of it, have resulted from this work. Can be found on Amazon today, “A Plain English Reference to The Book of Mormon” in print and a Kindle version. Thanks for stopping by and sharing your testimony of writing the book. Also, I’ll have to look you up next time I visit Hawaii! The original Japanese translation was translated into 200 year old Japanese to capture the feel of the old English. Many members and nonmembers struggled to read it so they released a new translation in modern Japanese. It is still in a written style as opposed to a spoken style but clearly modern. « BYU’s Honor Code=LDS Church on Steroids?